Digital marketing for small businesses is uncharted territory for many companies, and since technology is constantly evolving, the old maps keep having to be redrawn. In other words, these small and medium enterprises (SMEs) face many challenges when it comes to SME marketing online, and it can feel like a struggle to keep up. However, they are not alone. Plenty of other companies suffer alongside of them, and through their collective experience they can collaborate to discover solutions to their challenges or build a market for better support. In that light, the following represent the three top digital marketing challenges SMEs face, along with a few tips on how others have overcome them. “If you write it, they will come,” used to be the SEO mantra, but more and more small companies struggle to watch this traffic materialize. 63% of marketers say this is their biggest challenge. The real problem? Search engine queries do not provide enough demand for the content that small businesses produce. While this content can help improve local ranking for certain keywords, it does not necessarily mean that your business is ranking for the topic the content covers. There are just too many choices online for people to find answers to their questions or needs. A lot of times, the answers find them while consumers are scrolling through social media, checking their email, or reading texts from friends. All of this traffic therefore ends up going to a few big publishers, while just a few leads trickle down to the small guys. Solution: Improve content promotion through Bing and Google display ads. The Google Display Network (GDN) in particular can unlock huge reach when run as a targeted campaign through AdWords. Companies can also build audiences through social and email to ensure their content actually gets seen. Also, make sure your content is both valuable and clickable. Give people what they want! Without a good way to trace ROI, marketers in small and medium-sized companies may feel like their digital marketing spend is going down a hole. 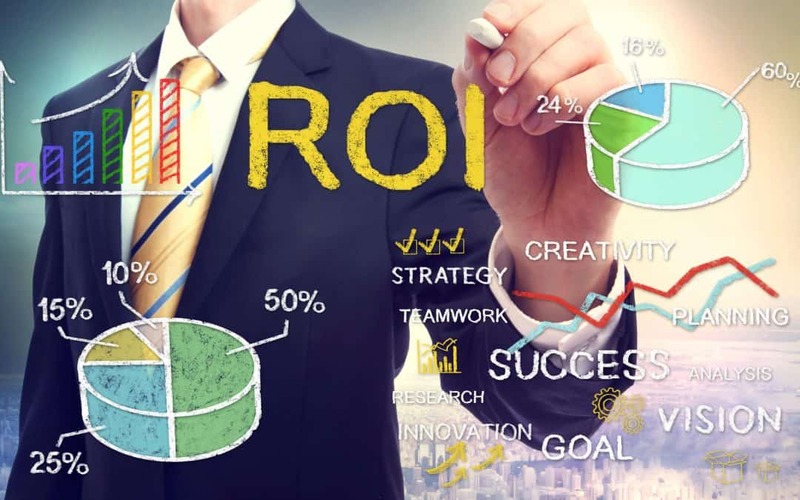 They know this probably is not the case, but without a concrete way to prove the ROI of marketing activities, it can be hard to know what activities produce the most returns and which should be tweaked. Solution: Chart out accurate customer journeys that account for all of your digital marketing touchpoints. You can then assign value to certain achievements, like a click-through, based on the final value of a customer transaction compared to the typical conversion rate. On a wider scale, consider ways to evaluate the customer lifetime value (CLV) for key demographics in your customer base. Attributing ROI can then involve both percentages of transactional value while also keeping an eye on extracting the maximum possible CLV for repeat customers. The mention of attribution technology raises an important point: there are so many tools and options out there that small business owners are not sure which one will provide the most benefit. By the same token, they may not know the best digital marketing activities worth focusing on. Looking at social media alone, they may wonder if Facebook is more worth their time than LinkedIn, for instance. Solution: When exploring investments in tech or new campaigns, write down your exact goals. Then perform something like a SWOT Analysis to consider each option. You can use tools like Growthverse to educate you on those options. When it comes to deciding upon activities to focus on, get scientific. Form two groups, such as a control Facebook group of six posts versus an experimental LinkedIn group of six posts. Compare your results after a few weeks to see if your hypothesis was correct. Our personal methodology is: Test, Learn, Adapt. Most digital marketing best practices are discovered through experimentation and incremental improvements, not sudden revelations! Outsourcing your digital marketing activities can help you rapidly bring your company’s activities up to par with your competitors. With sound digital marketing practices in place, you can improve brand recognition while growing your market share. All of this comes without the expense and risk of forming a dedicated digital marketing or SEO department, which can take years to recoup their total cost and which may never bring the desired results. Digital marketing services for small businesses can also be flexible, allowing you to get just the help or consulting advice you need to make your business excel. So, rather than considering adding a whole new appendage to your marketing apparatus or, worse, ignoring your company’s digital marketing needs altogether, make an effort to explore your options for partnering with an experienced digital marketing agency. Now, we want to hear what you think your company’s biggest digital marketing challenges are! Leave your experience in a comment below, or contact us today to see how we can work to overcome it together.